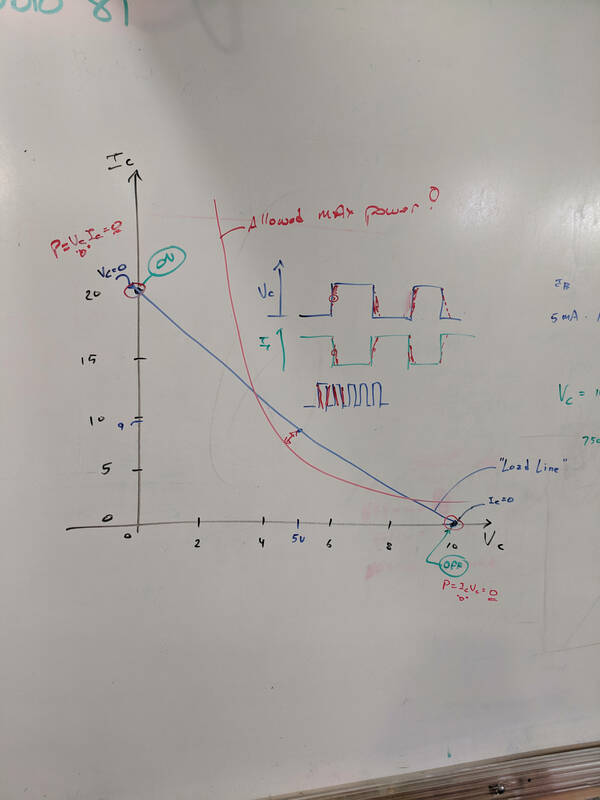 Oversimplification: most of the power happens in the middle, but as long as the switching frequency isn’t too high, it’s all good. Building the circuitry wasn’t too difficult, but covering the function generator and oscilloscope hookup took far more time than I expected. My old analog Tek 2215 scope was a crowd-pleaser; there’s something visceral about watching a live CRT display you just don’t get from the annotated display on an LCD panel. 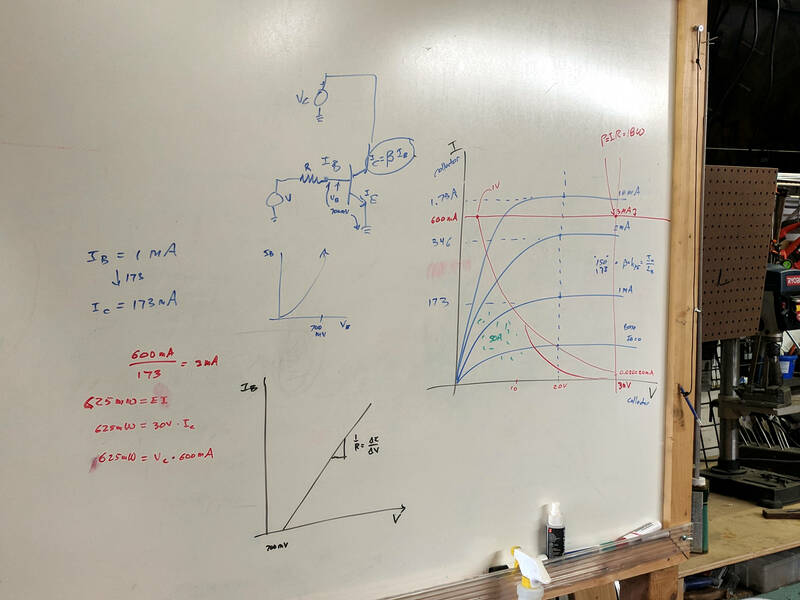 I’d planned to introduce capacitors, but just the cap show-n-tell went well into overtime. 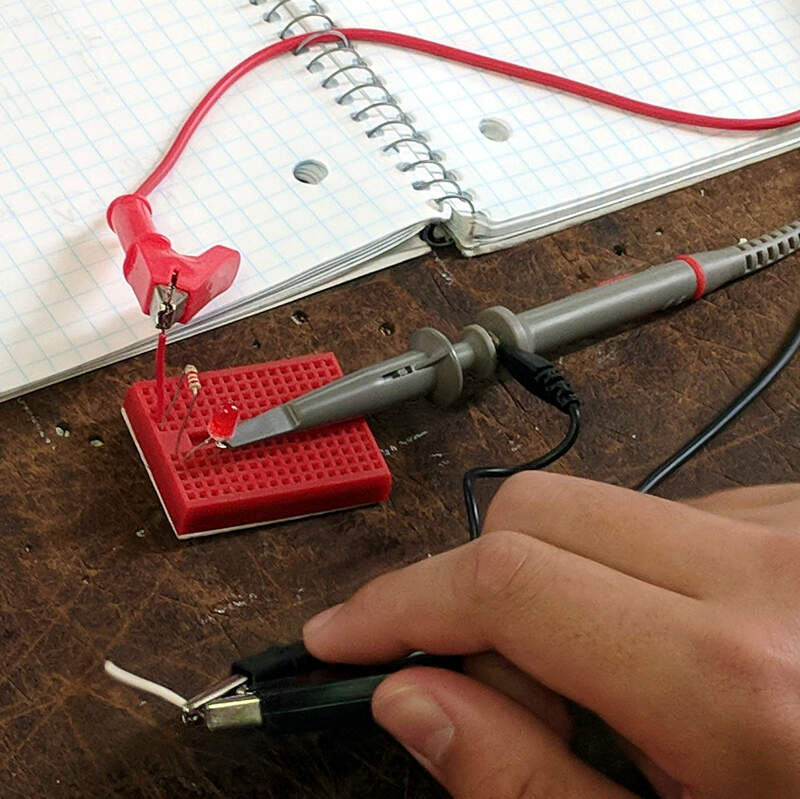 We’ll get into those in Session 6, plus exploring RC circuitry with function generators and oscilloscopes. 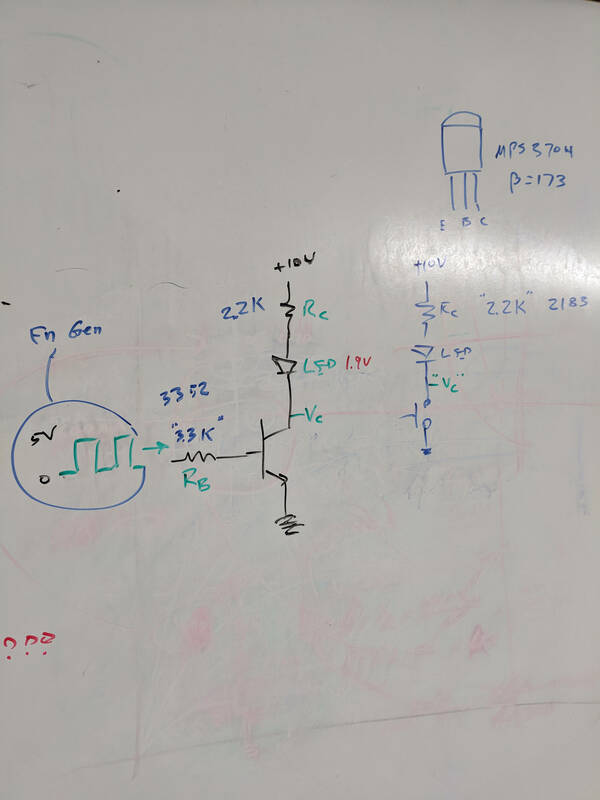 This entry was posted on 2018-10-17, 07:46 and is filed under Electronics Workbench, Science. You can follow any responses to this entry through RSS 2.0. Both comments and pings are currently closed. The “simplest possible” switched LED circuit depends on your definition of “simplest”. For the “fewest components” version, I’d suggest a common-collector circuit. For the “easiest to understand” version, I’d agree with the common-emitter version you showed. I’m definitely a “simplest to understand” kind of guy! 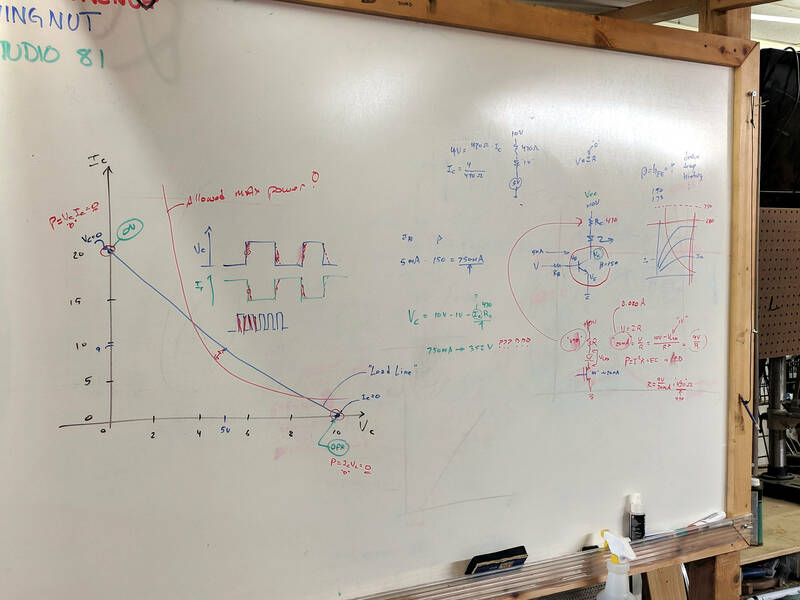 We started by defining and measuring transistors as current amplifiers, with the common-emitter layout separating the input and output currents. I’m desperately trying to avoid analog-ish circuitry until we have more components in play; this Saturday introduces capacitors. In one of the 100 level physics courses, the lecture section showed an medium sized incandescent bulb with a 1 Henry (IIRC) inductor. That was a nice demonstration. I never saw the switch up close, but it must have been a make-before-break, since it didn’t arc. 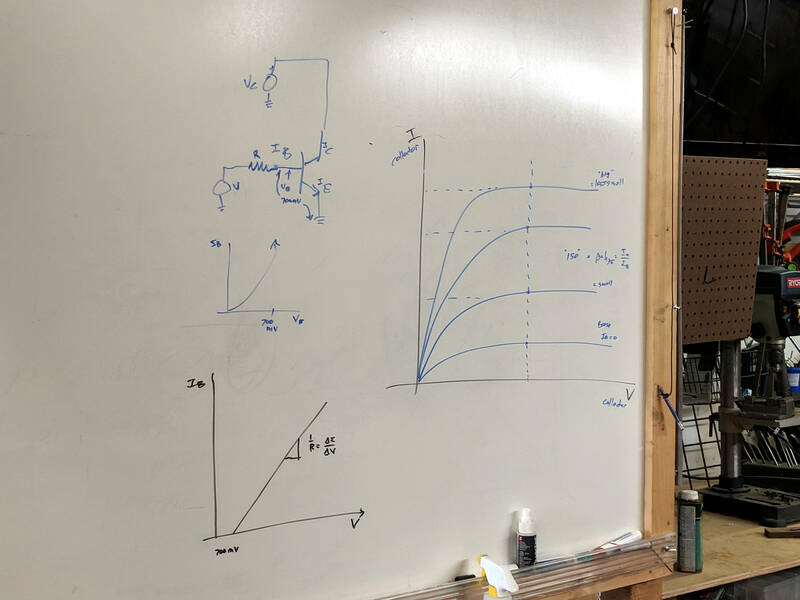 The Mighty Thor really wants me to talk about inductors, but they must wait until wiring / testing / function generators / oscilloscopes become familiar: there’s no way to see what readily available inductors (in the mH range) are doing.